Product prices and availability are accurate as of 2019-04-10 20:29:07 EDT and are subject to change. Any price and availability information displayed on http://www.amazon.com/ at the time of purchase will apply to the purchase of this product. 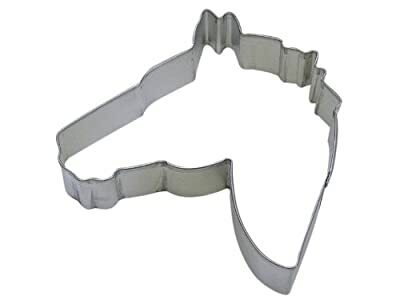 CybrTrayd-R&M heavy-duty tinplate steel cookie cutters are strong and built to hold their shapes. However, they are not dishwasher-safe and should be hand washed in warm, soapy water and towel dried.